Fairview Microwave has introduced a new extended series of mmWave, removable, end launch PCB connectors that are designed for SERDES applications like cloud servers, supercomputing and high-speed networking. The new line connectors consists of 16 models operating in a wide bandwidth that supports high data rates and VSWR as low as 1.10:1. 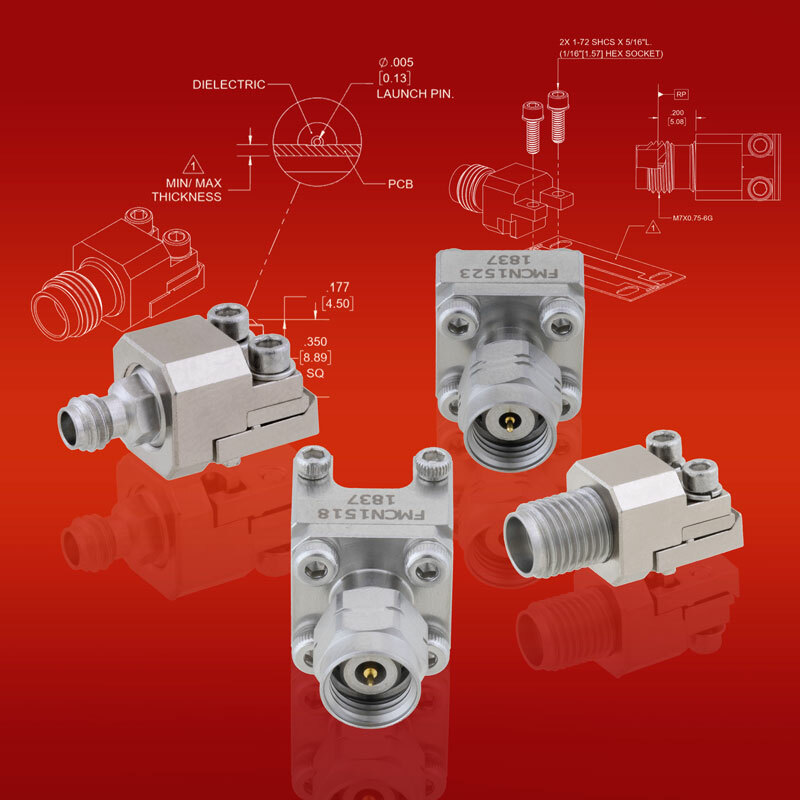 They are offered with four end launch connector interface options: 1.0mm (110 GHz), 1.85mm (67 GHz), 2.92mm (40 GHz) and 2.4mm (50 GHz). These are reusable and don’t require any soldering. Some of the models in this line feature reduced profiles with a 0.350-inch mounting width, allowing for more launches to fit into the same PCB area. These connectors are offered in male and female genders and are constructed with an outer conductor made of stainless steel and a gold-plated beryllium copper centre contact.